Compare Steel Building Costs Free! 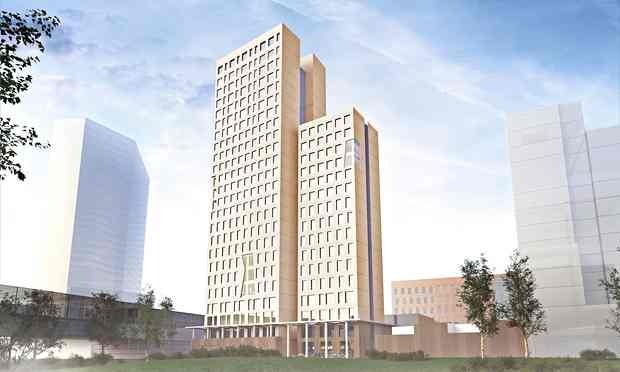 Vienna will soon be home to the world’s tallest wooden building. Designed by Rüdiger Lainer and Partner, the so-called HoHo project will be built in the Seestadt Aspern area, one of Europe’s largest urban development sites. It will stand 276 feet tall and house a hotel, restaurant, and wellness center together with apartments and offices. It will cost about $65 million to construct. 76% of the building is expected to be made from wood. Unlike concrete, which adds significantly to carbon emissions, wood from sustainable forests absorbs carbon dioxide from the atmosphere and sequesters it for the entirety of a building’s life. The architects say the HoHo tower will save 2,800 metric tons of carbon dioxide emissions compared with a similar concrete structure. That’s the equivalent of driving a conventional car 25 miles every day for 1,300 years. Worldwide, commercial buildings made of wood are gaining acceptance as architects, developers, and municipal officials seek ways to reduce the carbon footprint of new construction in cities. lives in Rhode Island and writes about topics at the convergence of technology and ecology. You can follow him on Google + and Twitter. Are you interested in a steel building for a commercial or residential location? © Green Building Elements 2019.